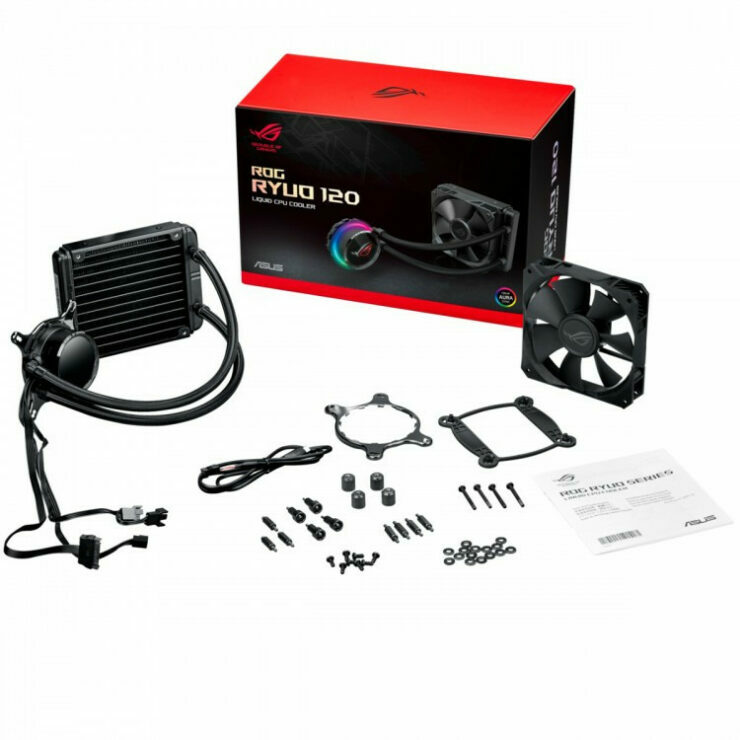 Recently, ASUS has announced its entry in the AIO CPU Cooler Market and its new Gladius II Wireless Gaming Mouse. 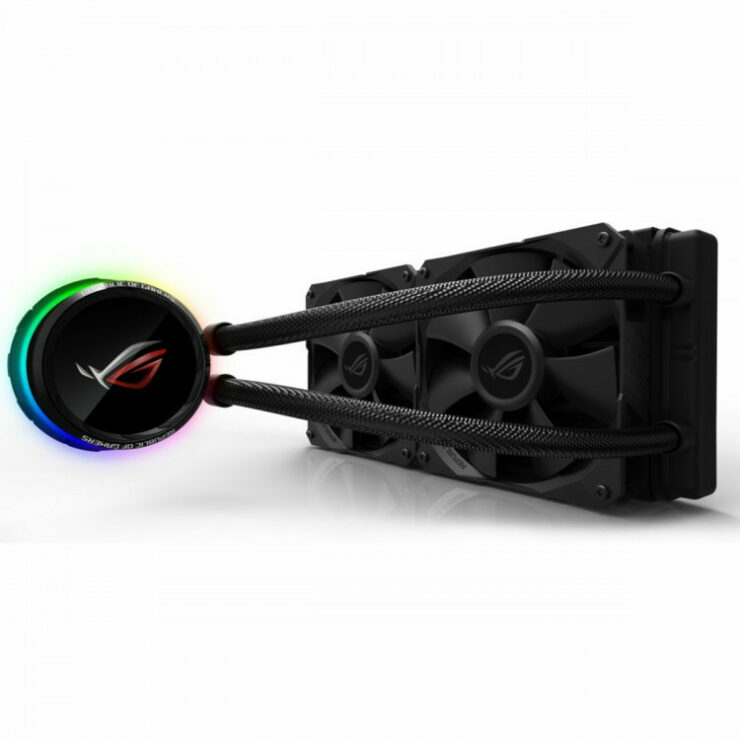 The ROG Ryuo coolers are based off an Asetek design, which we should assume is 6th generation like the newer Corsair coolers. 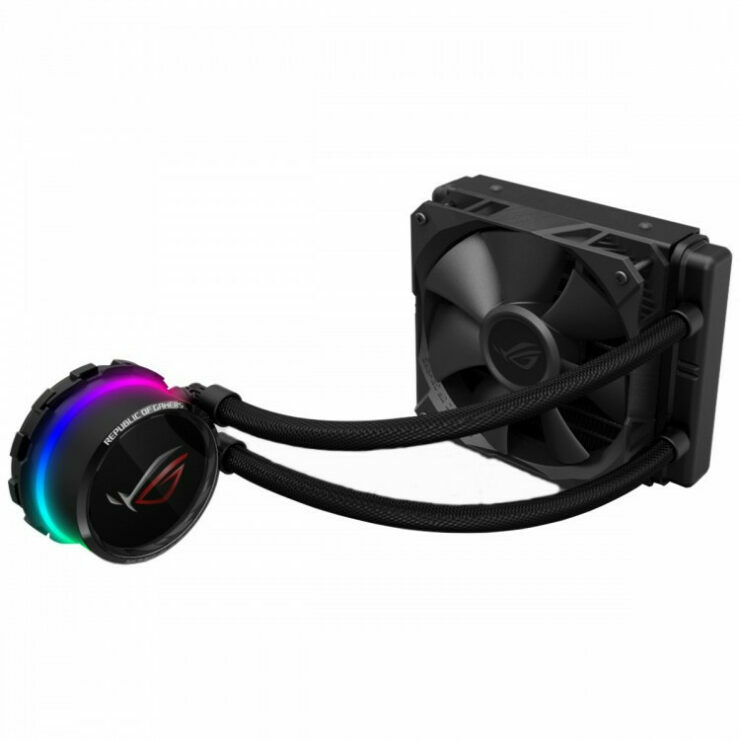 It comes in a 120 and 240mm models and has a 1.77 inch “Livedash” full color OLED screen on the top of the CPU Cooler block with a USB connector. The OLED screen can be used to show your system stats, cooler settings or, even GIFs or a custom static image. The coolers support AM4, sTR4, LGA 115x, LGA 1366, LGA 2011(-3) and LGA 2066. As for the Gladius II, Wireless gaming mice are seeing a comeback as lithium ion rechargeable batteries are becoming commonplace and latency is becoming less noticeable as they improve. Asus has launched its wireless variant of the Republic Of Gamers Galdius II, it retains the original shape, grip and button layout of the original but is wireless and lacks the bottom RGB LED diffuser, and comes in at 130G while packing a higher end sensor than the original. 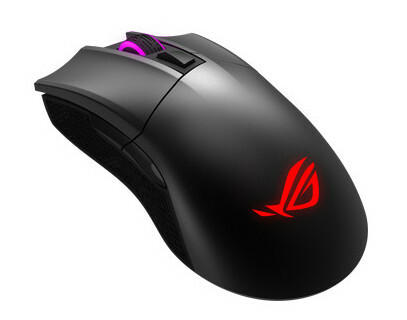 The ROG Gladius II uses both 2.40GHz RF and low latency Bluetooth BLE to achieve input latencies of as low as 1 ms, a far cry from wireless mice in the past. The mouse also packs a 16,000 DPI sensor (4000 DPI higher than the original). And finally the mouse can be switched at any point to wired mode with its included micro USB to USB cable and will be remapped by windows as a new device. The USB cable is used for input as well as recharging the battery. 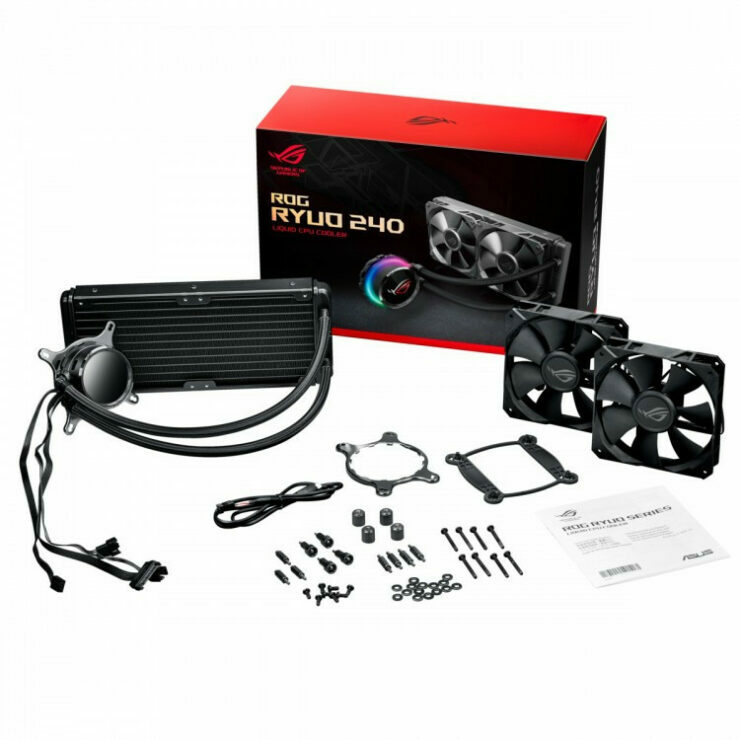 The ASUS RYUO CPU coolers come in at a very high $139 for the 120mm and $184.99 for the 240mm AIO. The Gladius II should be available soon for a retail price of around $140.